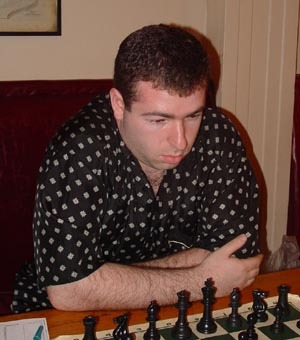 Evgeny Gershov has done quite well at racking up the U2400 prizes thus far in the NY Masters. He has three (one was a 3 way tie) of them to his name, totalling almost $300, thus putting him as the leading money winner for the U2400 prize. He can play both the Caro-Kann defense and Sicilian equally well and varies between the two based on his mood.